You are here: Home / Life / Has my pursuit for an extra income made me unhappy? In a recent post, Why is financial freedom so important? I asked how I could go about making more money and the reasoning behind why I wanted to make more money. The thing is this is not a question that I have just come up with starting this blog. This has been something that has always been on my mind for as long as I can remember. The trouble with this is that I don’t know whether this pursuit of more money has actually had an effect on my overall happiness throughout my life. Now don’t get me wrong, I’m generally a happy person, though it has been said that my face often tells a different story. The thing is I don’t go a day without thinking about how I can make more money, whether it’s eating lunch, talking about someone’s weekend, watching TV or shopping, the thought of making more money is always at the back of my mind. Making more money than I now earn is pretty much on my mind from the moment I wake up to the moment I go to sleep seven days a week, 365 days a year. Yes, even at Christmas and when I’m on holiday. It was even on my mind when on honeymoon. How long have I been pursuing money? As early as infant and junior school I was surrounded by people who had the usual dreams of innocence. Kids my age wanted to be Doctors or Vets and when they weren’t doing these jobs wanted to be footballers or be on the TV in their downtime. Not me, I don’t know where it came from as I was never surrounded by people who talked about money or made vast amounts, but I always wanted to be self-employed. I was once asked by a famous football player at the time whether I wanted to play football when I grew up. He probably asked this to many young lads, but probably to his surprise, I quickly replied no. The reason for this I told him was that there was no money in football and I wanted to be a businessman because I wanted to be a millionaire. It was a different game than what it is now. I always knew the value of money but it never stopped me asking my mum for the latest gadget. I knew how hard she would have to work to get me what I asked for but I was never disappointed. Growing up I never really had any close friends, the reason probably being that I wasn’t really allowed to go around to people’s houses and they certainly weren’t allowed around to mine. So maybe everything that I asked for was my way of distracting myself from the fact that I didn’t really have anyone my age to play with and my only company was that of the family pets. So much is said today about child isolation as a result of technology, but this isn’t a new phenomenon, I guess throughout time there have always been some children that for one reason or another might not have had many social interactions with their own age group. So what about later in my life? Even in my late teens and in my early to mid 20s I wasn’t really doing what my mates of that age and some a lot older were doing, thinking back I probably never really let me self go to just enjoy being young and finding out who I was or who I wanted to be. If I was asked to go on a night out, or do anything social for that matter, in the back of my mind I was always thinking how much the invitation was going to cost me. The list of reasons not to socialize was endless and for this reason I probably didn’t go out as much and form lasting relationships as I would otherwise. When I did start going out young people were first to get mobile phones. I always had to have the most expensive but I rarely ever called the people in my phone book. I went to college and believed that I was getting the necessary theory of business to become the next multimillionaire businessman I had always dreamt about becoming. Upon leaving college, I still had no ideas and didn’t have a clue how I was going to make myself a million. I wasn’t sure whether university was for me, not knowing anyone that had been, so after college I took any job that I could get, regardless of whether I enjoyed it or whether it was really what I wanted for myself. I remember first getting the internet, a dial-up connection from AOL. I was hooked after dialling in and waiting for a good few minutes to connect to the internet I was able to search, this is what we did before we changed the term to “Google it”. The Internet just opened up my eyes to the possibilities of someone like me having a business. I still didn’t have a business idea, but knew that this was where the future was. So much so that I signed up for a weekend class in web design in the hope that I could find my place on the internet and who knows someday be the next to make my fortune. Companies where starting up and growing rapidly and before you knew it making people cash and paper millionaires by going public, the thing is some of these businesses didn’t even have a business model and were set up purely on the wave of excitement at that time. It then started to crumble around 1997, just as I was leaving college, businesses that were once valued at billions of dollars were being sold to next to nothing. Still this didn’t deter me and I was certain that once all the silliness had died down the internet would still be the best way forward for someone like me to own a business. I eventually did it! I came up with an idea that was a sure fire hit. I put a business plan together, got myself some funding set up a limited company and hired the necessary professionals. A website was created that was going to revolutionise the way that people bought and sold property, well so I thought anyway. At that time there were only few websites that allowed estate agents to market their properties and these were only geared towards estate agents. City Centre living was the next big thing so I though I had found my niche but not only were estate agents going to be able to market their properties, developers, landlords and members of the public could as well, for a small fee. I also understood that people that were buying these properties where buying into a lifestyle so why not cater for them fully and allow city centre businesses such as bars, restaurants, clubs, home furnishing stores and the like to list themselves and make the websites visitors aware of promotions or offers. I grossly underestimated the time and money that it would take to make this business a success I had to give it up. Every cloud has a silver lining and the niche soon turned out to be something that could have cost me a lot more than it did had I been stubborn and stuck with the idea. Maybe I didn’t have to try to reinvent the wheel, just make one better than my competitors. When on my usual trip around the web looking for business ideas I came across affiliate marketing, this was going to be huge I thought to myself. All you had to do is put together tons of websites selling another company’s products and you would be paid a commission, no content just maybe a quick review and that was it. I had some experience in web design so slung together a few websites to see if I could become a great affiliate marketer, nothing! 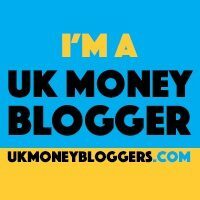 I then came across Kirsty McCubbin, she had a website that showed Joe Public how to really make money from affiliate marketing and this was an eye opener, I still didn’t make any money, but all the information on Kirsty’s website gave me food for thought. I had given it a go and would again as I still believe that affiliate marketing is a great passive income stream, so long as you are prepared to put in the work. So after these setbacks, am I truly unhappy? Simply, no! What has happened in the past doesn’t define who I am today, in fact it has made me the person I am. Granted, I am not making the kind of money that I had hoped for when growing up, but the thing is there is no time limit as to when you might find success. Henry Ford was 40 when he founded the Ford Motor Company and Samuel Jackson didn’t get his first big break in Hollywood until he was 43. So I guess it is safe to say, so long as you don’t give up and are prepared to put in the work, there is no reason anyone cannot achieve what they want both in life and in finances no matter what your age. Learn from your setbacks and don’t get down as someday it might just work for you. Enjoy the journey and don’t forget life is short, so enjoy it and take every opportunity to do what makes you happy. I think it can get a bit obsessive. I think a lot about earning extra money, because I know that I need to in order to achieve my goals. I need lots though!! You’re right. I’m trying to think about it a lot less but failing miserably. What are your goals and what’s your number(£) to achieve them?